There is no greater loss than the tragic and sudden death of a loved one, especially if it involves a wrongful death case. A wrongful death refers to a situation where someone’s negligence or wrongful conduct has resulted in another person’s death. The family members and/or estate of the deceased can bring a wrongful death suit to provide emotional and financial relief. If you have lost a loved one as a result of someone else’s negligence, an experienced accident law firm will aggressively fight to get you the compensation that you are entitled to for the loss of your loved one. The New Jersey state legislature has passed the Wrongful Death Act, which defines wrongful death as a death caused by the wrongful act or omission of another person where pecuniary losses are sustained. This statute broadly allows for the victim’s loved ones to maintain an action for damages resulting from the unexpected death. 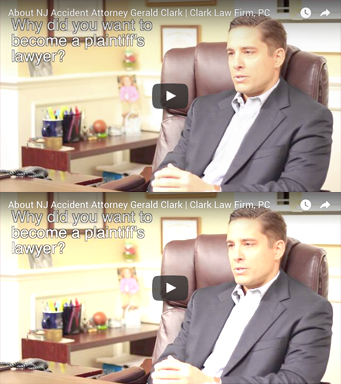 The New Jersey wrongful death statute exists to provide the victim’s family compensation for the various expenses that usually accompany an incident leading to the death of the victim in question. Compensation includes hospital bills, funeral costs, attorney’s fees, and even lost earnings and household services that would have benefited the survivors. Additionally, New Jersey law permits spouses and dependent children to recover non-economic damages for loss of love, care, and affection as well as damages for loss or parental guidance and training. The Wrongful Death Act further delineates that an estate in the name of a victim of a wrongful death act must be opened within two (2) years of the date of the wrongful act, or the cause of the action will be barred by the running of the statute of limitations. If you have lost a loved one as the result of another individual’s negligence or wrongful conduct, you should contact our accident law firm for a free initial evaluation of your case. During these emotional times, you can rest assured that our legal team will provide you and your family members with the professionalism, respect and sensitivity that you deserve. To schedule a free consultation with our attorneys call 877-841-8855 or submit the short form on this page.